Music is, without a doubt, one of my favourite things in the world. As I got older, my love for music never ceased and as a teenager I spent most nights in my bedroom with my headphones on - but unlike most of my friends, although I did love the chart music, boybands of the time and club tracks, I also loved a much wider range of genres and artists - I had a thing for 50s rock n roll, I was a huge Kate Bush fan, and something about the music of The Carpenters spoke to my soul - and those were just the tip of the iceberg. My parents introducing me to a variety of music at a young age meant that I was always keen to discover new artists and my eclectic taste has stayed with me into adult life. I can't imagine being the kind of person who sticks to only one genre when there is so much out there to enjoy...something for every mood. Some days you'll catch me playing Bucks Fizz on my iPod, others is will be Jay Z...and I love how much enjoyment this variety of music has brought to my life. Thats why I was determined to ensure that my own children were exposed to as much of a variety of music as possible from a young age too, and it delights me to see them enjoying it and expressing their own tastes already. My eldest son is only 4 but he counts Madness, Elvis Presley and Adam Ant among his favourite musical artists (all people that neither my partner or I have any particular fondness for, he has decided on these guys for himself simply by being exposed to a variety of music!) whereas my 2 year old son is all about Britney Spears & Taylor Swift with a soft spot for Ke$ha....but also The Beach Boys!! We watch music videos on YouTube more often than we watch CBeebies, and we have a dance party after dinner every day to burn some energy off and have fun together - I love that music is such a big part of our family life and I want to continue to encourage the boys interest in any way I can. I recently learned about Pomelody - a brand new home-based e-learning platform designed to unlock pre-schoolers musical talent. It's said to potentially raise their IQ by 18% too! 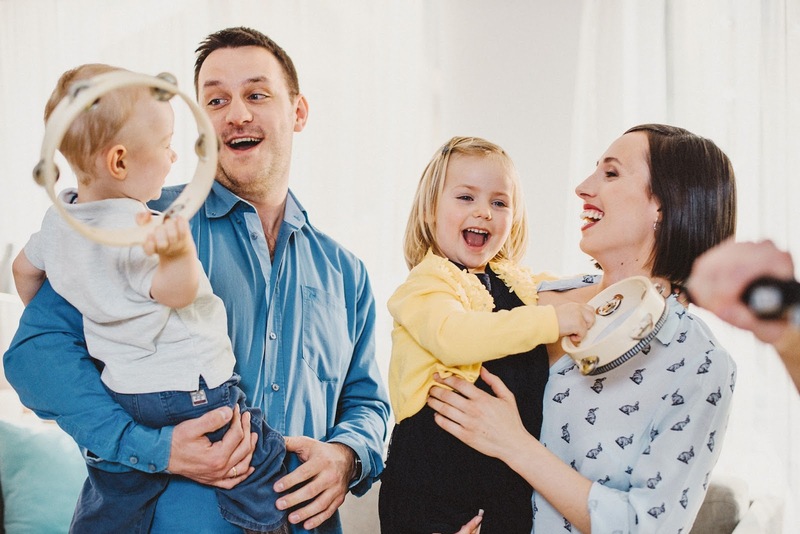 The idea came from professional musicians Adam and Anna who, whilst raising a young family and knowing how powerfully music impacts on a child’s development, tried to find musical content that they could use in order to interact with their children. There was very little musical content available and what was available was unstructured. They set about designing, testing and recording a series of specially recorded songs, music theory tutorials for parents and animated stories for kids. The result is the first simple to access (online via PC, laptop or tablet), fun and engaging platform for parents to embrace music along with their young children. Indeed, the first music-making classes for families ever put on video. The production of content and building the platform is nearly finished. Pomelody is now turning to Kickstarter to secure funding of $30,000 to help develop further seasons and to finish the platform build. What do you get as a series backer of Pomelody?